Bright yellow painted Police Dept. 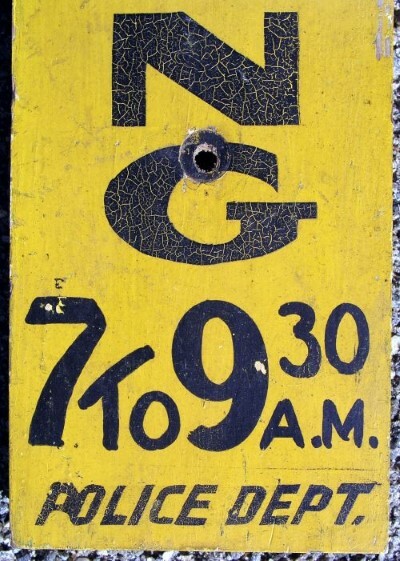 No Parking sign. Crusty black painted letters on wooden pine board. Dimensions: Measures 4"X 15" X 3/4"